Many lazy cooks skip rinsing off their grains before they cook 'em, but that's a big mistake for a few reasons. Some grains have coatings on them that need to be rinsed off to cook properly and taste good. In other cases, grains are stored with diatomaceous earth to keep out insects and mites; the same stuff used to kill garden pests, fleas, and bedbugs at home. While food-grade D.E. is edible (and many people think it has great health benefits), it can actually detract from taste. Plus, need we mention that you don't know who's been handling those grains or how clean they are? Rinsing grains means you remove debris and other kinds of unsavory residue. If you read our guide to properly cleaning produce, you know that you always need to take the proper steps to reduce bacteria and pesticides on your foods. A nutty, chewy whole grain that has tons of fiber, barley is a great replacement for rice, tastes terrific in soup, and makes a stellar main ingredient in risotto. While barley is different from wheat, it does contain gluten, so keep that in mind if you're looking for grains to cook for friends who have food allergies or celiac disease. 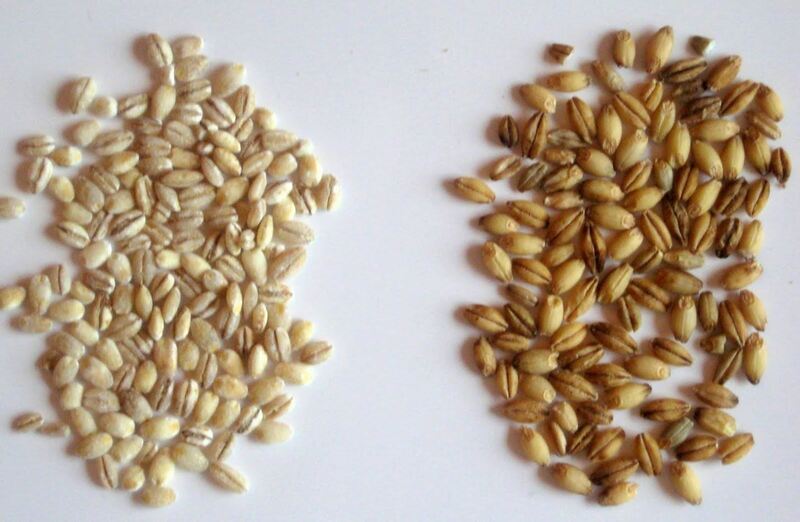 Like farro (see below), the more unprocessed your barley, the more likely it is you should soak it for a few hours to overnight to cut down the cooking time. Most barley available in grocery stories is pearled, so it's had some of the tough outer hull remove to make cooking easier, but it still retains some nutrients and fibers. You also definitely want to pick through it for any debris (once I skipped this step and bit down on a teeny pebble in my barley risotto) and rinse it thoroughly. 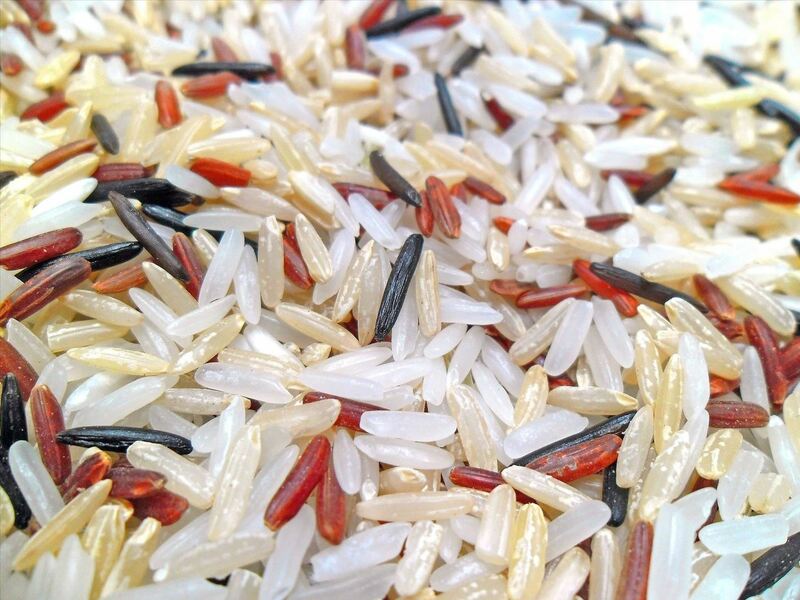 Beloved for its wonderful nutritional profile, brown rice is actually white rice in its natural state, before it is divested of bran and germ. Since it still has its hull, there's generally less powdery residue in brown rice, but you still need to rinse it at least once before cooking it, if only to remove any unwanted debris. Soaking brown rice is debatable. I found that it gave me mushy, inedible rice, while others rave about how it can increase taste and nutritional content. 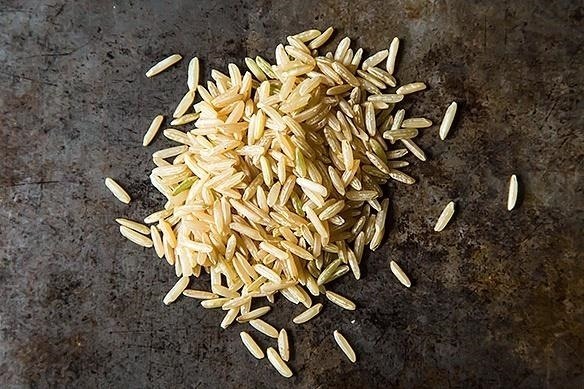 You can clean off brown rice by placing it in a colander and rinsing it under the faucet, but I live in drought country, and prefer to put it in a bowl of cold water, rub it between my hands, and then drain. Also commonly known as emmer, this ancient grain is a type of wheat beloved by Italians and gourmet cooks in America. It comes in three varieties: whole, semi-pearled, and pearled. 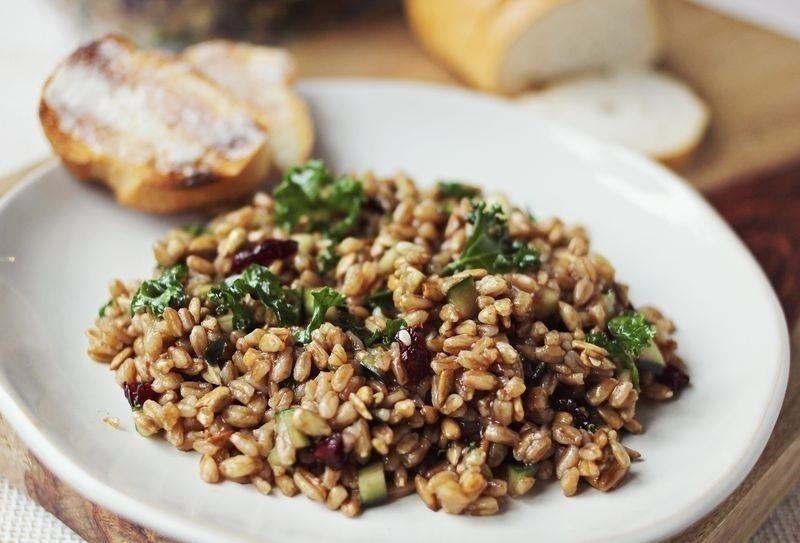 In whole farro, nothing has been removed, so you get all the bran and all the nutrition. Semi-pearled has had some of the bran removed but still retains some fiber. The pearled variety is the quickest to cook, but has no bran at all. Its taste is nutty and slightly sweet and the texture is satisfyingly firm. It works great as a side dish, in pilafs, salads, and as a substitute for rice. 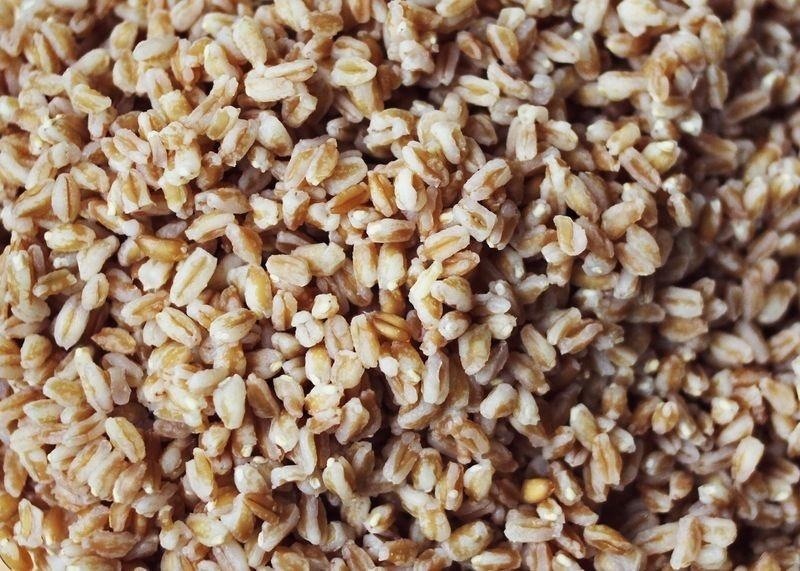 If you're cooking whole farro, you may want to take the precaution of soaking it overnight. Semi-pearled and pearled varieties don't require this step. Like beans, you should sort through farro and pick out any pebbles or debris before rinsing them to remove powdery residue that often coats packaged farro. Quinoa is technically the seed of a plant that's native to Peru, and is actually a relative of beets, chard, and spinach. Even though it's not a grain, it's usually served like one in most meals. 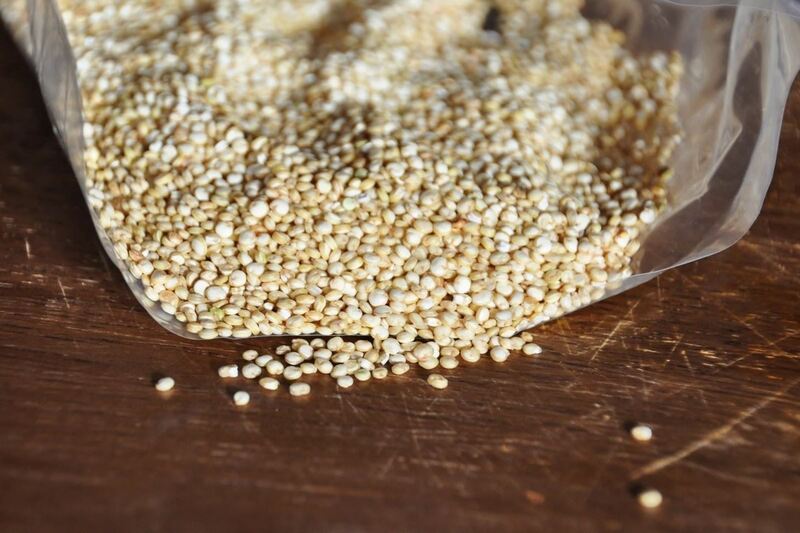 While soaking quinoa for a prolonged period of time isn't necessary, rinsing it is an absolute must. 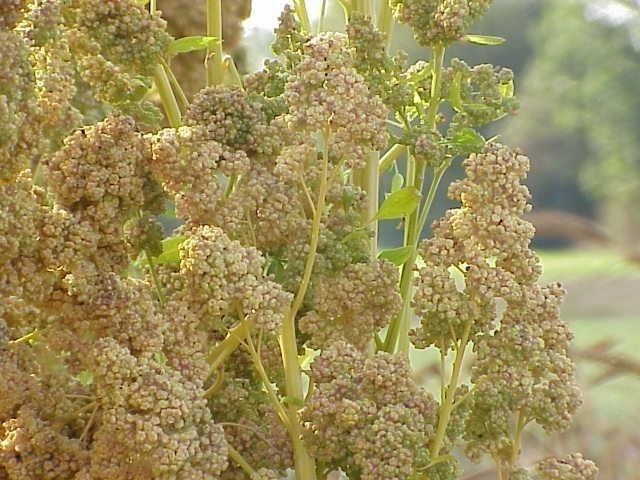 Quinoa is coated with saponins, or naturally occurring detergents found in many plants. Cook your quinoa as-is, and you risk getting a bitter, soapy aftertaste in your quinoa pilaf. Experts urge you to rinse quinoa one more time even if the packaging says its been pre-rinsed, since you always want to get rid of any non-edible residue. The process is easy: put your quinoa in a glass bowl and fill it with water. Then "scrub" the quinoa by rubbing the seeds between your hands. Strain the quinoa through a fine-mesh strainer and do one last rinse to make sure you get rid of all the saponins. You can also run it under the faucet in a fine-mesh strainer if water conservation isn't a concern. Just about the only way white rice is controversial is when you try and figure out if you should soak it and rinse it. 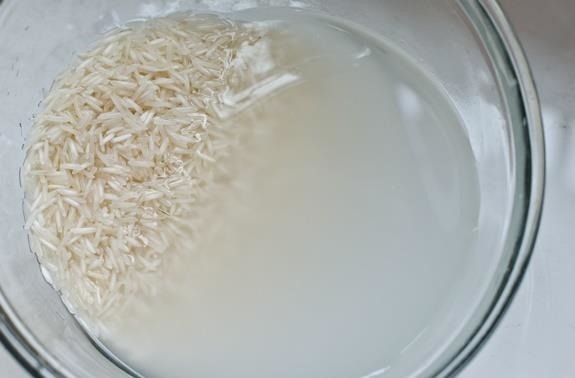 My mom always let white rice soak for at least half an hour (some say half an hour in summer and longer in winter) then carefully rinsed it twice more, always swirling the water repeatedly before she dumped it out. I loved watching the water get progressively more opaque with starch during each rotation. Because white rice lacks the protective hull of brown rice, there's more powdery residue produced as it bounces around from the farm to the market to your house. Basically, that rice flour will create a thickish paste in the cooked result if you don't rinse it off. Don't try and rinse it until the water is perfectly clear, though: that's an exercise in frustration and a waste of water. Plus, it turns out there's another, even more pressing reason to rinse white rice: the FDA has been watching arsenic levels in rice products in 2012 and 2013. So far they haven't made any move to remove rice off shelves or recommended people limit their rice consumption, but The Chicago Tribune notes that rinsing rice thoroughly can reduce the presence of arsenic up to 30%. Like quinoa, many people think wild rice is a grain, but it isn't—it's actually a seed too, originating from North American long-grain marsh grass. It's wonderful served in soups and stews, although most people know it from Thanksgiving and that ubiquitous pilaf that always shows up. I like to use it as I would pasta by boiling it in salted water, draining, and tossing it with various sautéed vegetables. 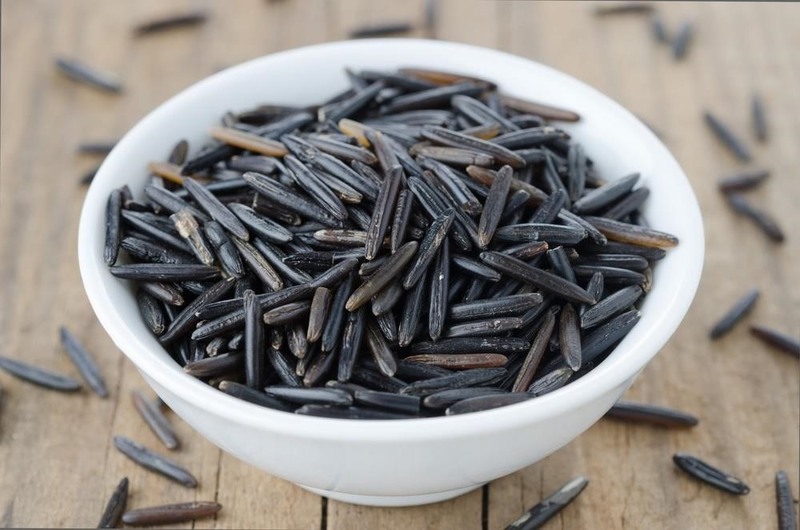 Cooks and growers alike recommend rinsing wild rice to get rid of any debris or dust. No elaborate rinsing procedures are necessary: a single thorough rinse under cold water is sufficient. Learn about how you can use it as a sous vide machine machine, to cook risotto, and make pancakes, bread, and mashed potatoes, too. Guilty as charged for being lazy about rinsing. Now I know! I used to get lectured for not rinsing rice, big-time, so it's ingrained in my cooking habits. I've never washed rice and I've always been average at cooking it, will certainly give it a thorough wash next time and see what happens. That being said, my brown rice is always fine, more evidence I guess. I've never rinsed my quinoa, I have it 2-3 times a week, it always tastes great. There is no bitterness or soapiness. What's with the rinsing? I don't rinse brown rice either, it also tastes fabulous. I think this is just nonsense.